Chamber music and jazz sparkled last weekend, winning cash prizes and silver awards for Rangi Ruru Girls’ School in two competitions, both held in Christchurch. On Friday two of the school’s senior chamber music groups competed in the national finals weekend of the NZCT Chamber Music contest while the Ara Jazz Quest saw Rangi swing with the best of them. 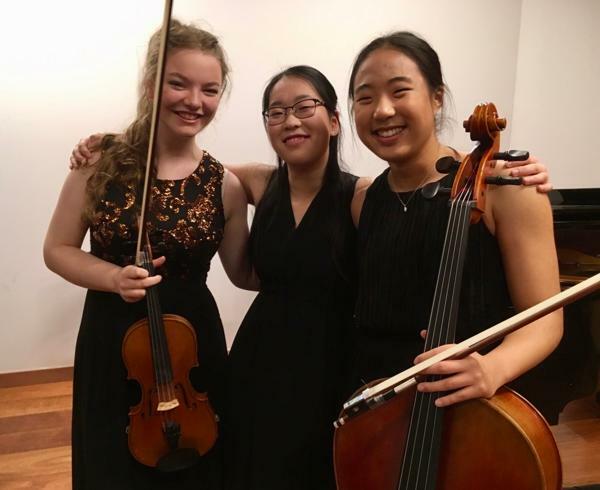 In the Chamber Music competition, Matryoshka (Sarah Lawrence (violin), Eugene In (cello), Valerie Xiang (piano)) and the Bohuslav Trio (Rachel McSweeney, Lucy Costelloe (violins), Yuna Chon (piano)) were both awarded a June Clifford Silver Award, along with a cash prize of $500 per group. This prestigious contest has been running for 53 years, with this year over 400 groups entering nationwide involving around 1800 students. Rangi was the only school in New Zealand to have two groups amongst the top twelve from New Zealand competing, and Director of Music at Rangi, Janet Kingsbury, says they were very deserving of their success. “The standard of performance was incredibly high, and our girls did themselves proud. They have worked extremely hard over many months towards this prestigious competition and have had to go through many levels of the competition to reach national status,” she says. 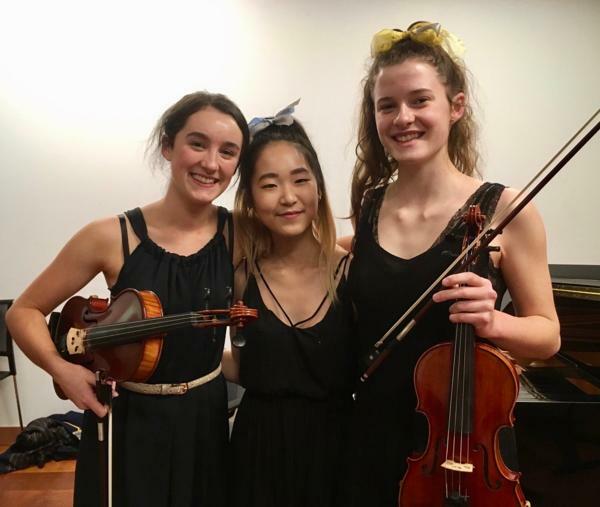 Prior to this level of the Chamber Music competition, Rangi had three groups selected for the South Island Finals – Matryoshka, Bohuslav Trio, and Flobiano 2.0 (Pippa Lange (flute), Amy Clough (oboe), Sarah Lawrence (piano)). Matryoshka won the Christchurch District Final, with the Bohuslav Trio gaining a Highly Commended award at District level. Mrs Kingsbury adds that the result for the jazz band was particularly pleasing as they have been in “rebuild” mode this year ably managed by their new director Lana Law. “The girls head off to the Southern Jam Youth Jazz Festival in Blenheim this week for four days of performances in clubs, cafes and wineries, along with a competition performance, masterclass and Gala Concert on Saturday evening.